The pylon was half buried in sand until the 1880s but when cleared it revealed two towers measuring 24 meters high and 65 meters wide. 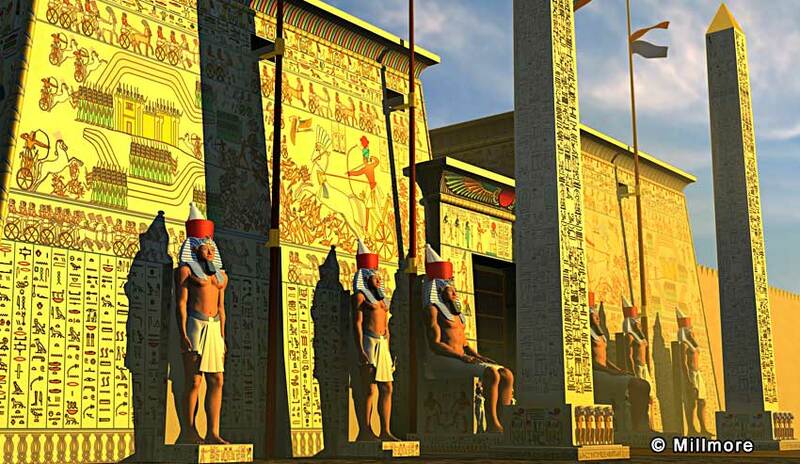 They are carved in sunken relief depicting Ramesses at the battle of Kadesh. 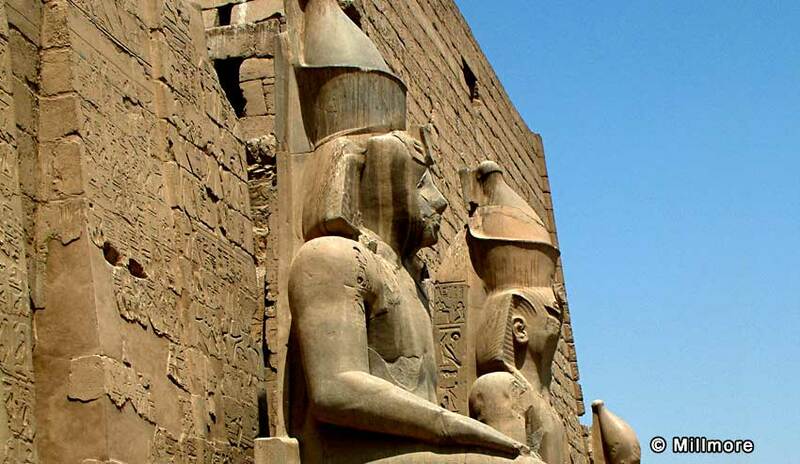 On the facade of the west (right) tower, the king is depicted with his advisers and generals. 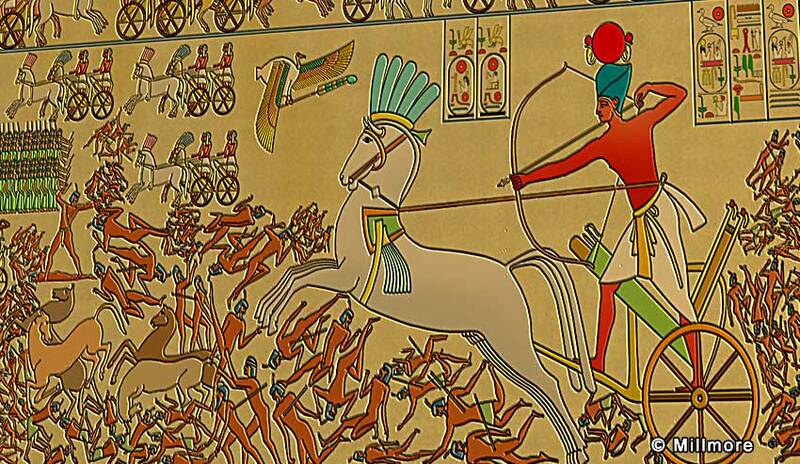 On the east (left) tower, the battle is shown with Ramesses driving his chariot over the dead and dying enemies. 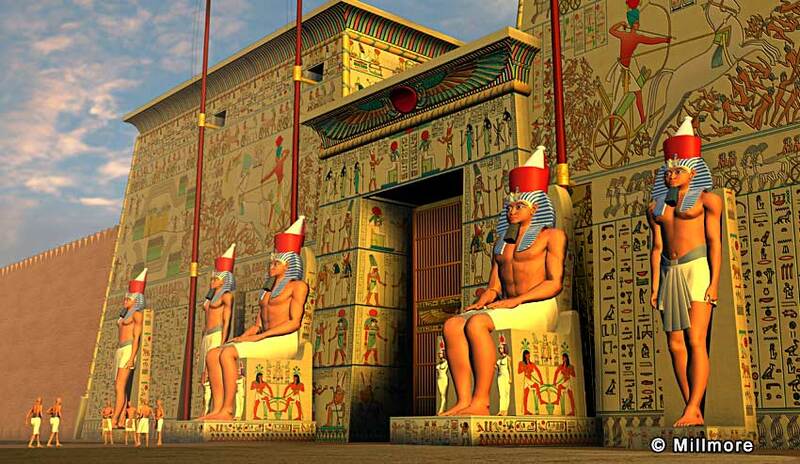 Two massive seated statues of Rameses II guard the huge gateway and are flanked by four standing statues of the king. Two 80 foot (25m) obelisks once accompanied them but today only one remains the other stands in the Place De La Concorde in Paris. 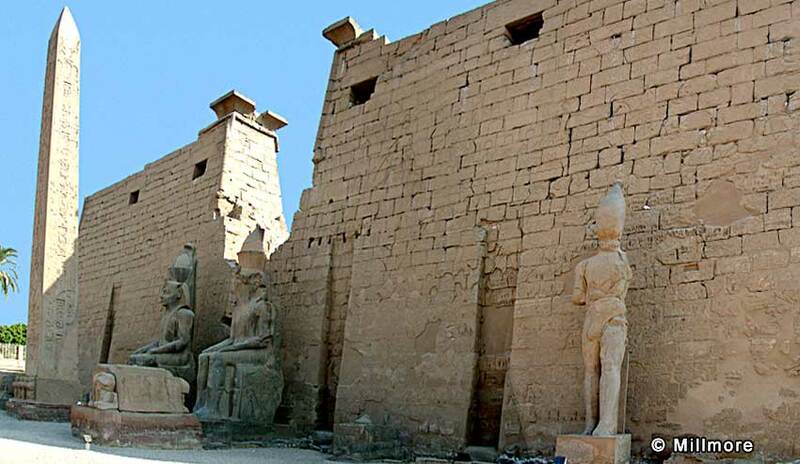 An avenue of human headed sphinxes of over one and a half miles (3 km) once connected the temples of Karnak and Luxor. 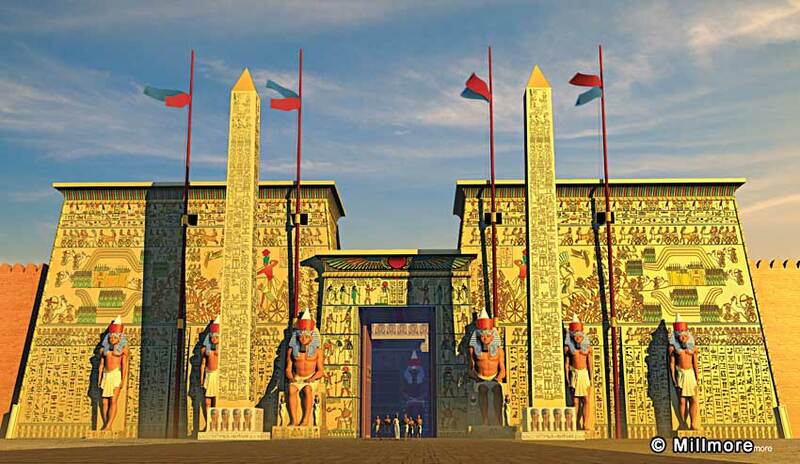 This was used once a year in a festival during which the image of Amun travelled from Karnak to visit his southern dominion. 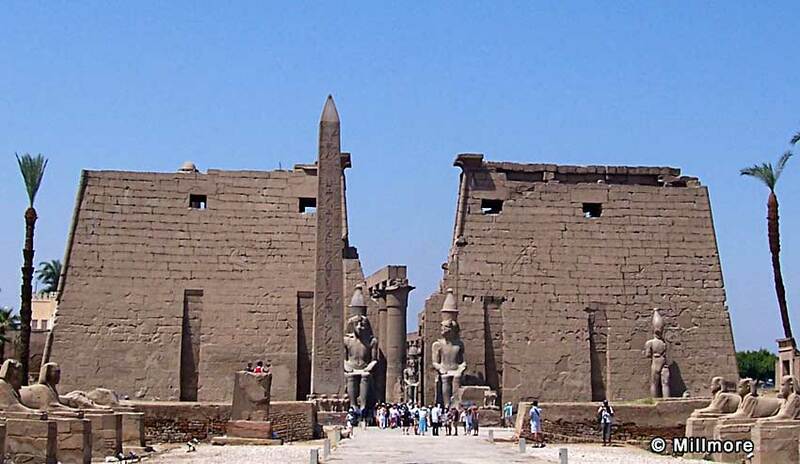 It was at Luxor temple that he was transformed into Min the god of fertility.